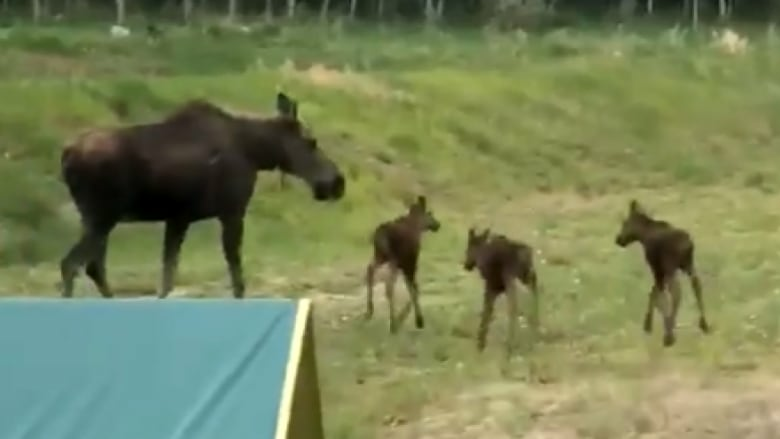 A wildlife biologist says an Alberta sighting of moose triplets is a "very unusual situation." 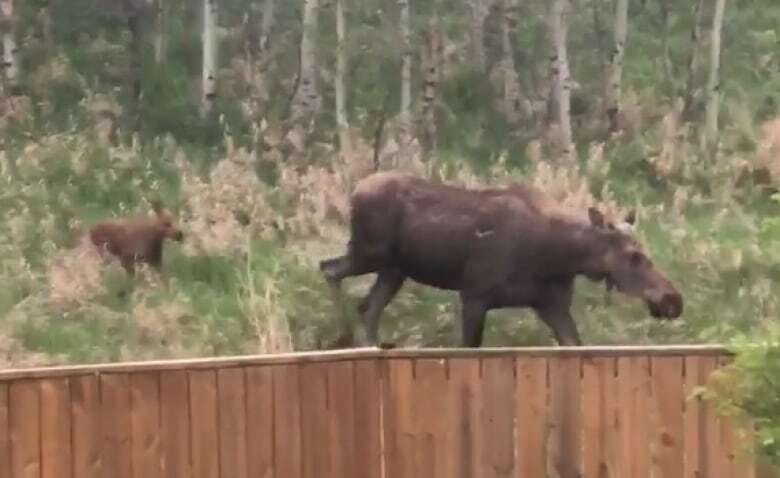 An Alberta woman witnessed a young mother moose and her three calves strolling through her neighbourhood and caught all the cuteness and rareness on camera. "Never three. I have never seen three in my entire life, and we are nature people," Randi Ingram told CBC News on Thursday. 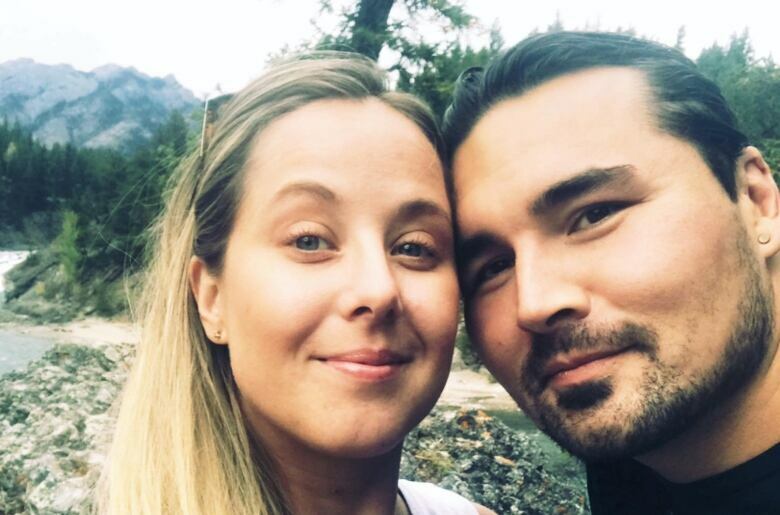 Ingram recorded the rare sighting on her phone from her backyard in Didsbury, Alta., about 80 km north of Calgary, on Tuesday. "They were born just behind our house," said Ingram, who believes the moose babies are less than a week old. "Me and my husband were pretty excited. It was just like overwhelming cuteness. Everyone down here is now on the lookout," she said. "The mom was a twin that we have been watching for the last three years, and she finally had her babies, so it was really cool to see that she had three," Ingram said. Wildlife biologist and author Chris Fisher said moose triplets are a "very unusual situation." "It is quite common to have twins, but triplets, while not unheard of, is certainly not a common occurrence anywhere in Alberta, and a little surprising given that our winter was so long and so harsh." Fisher said the mother moose probably found high quality food and shelter to sustain her over the winter. "It is likely that the mother moose, who would have been impregnated in the fall and carried the triplets throughout our tough winter, must have had really good access to cover and quite likely fed on very good, high-quality foods throughout the winter." Researchers are seeing a trend of moose setting up shop in non-traditional areas like prairies, he said. Normally found in the boreal forest and Rocky Mountains — where they usually spent the winter months feeding on trees and bushes — moose have moved in recent years as they seek out new and easier-to-acquire food sources, he explained. Fisher said Didsbury is becoming a kind of transitional area for moose in Alberta. "What we are seeing is, in spite of difficult winter conditions, a cow moose taking advantage of natural features on the landscape — like forests, and also the human-altered conditions [like] the agricultural areas and access to high-quality foods — and making it work for her, and the result being these triplets." Ingram, meanwhile, is just happy to observe the new moose family and all the other animals safely from her backyard. "Oh my gosh, you should see the wildlife we have back here," she said. "We have foxes. When they are in heat, it's actually terrifying because it sounds like someone is being murdered every night." Besides foxes and deer, Ingram said she's also seen a large herd of mule deer and their young in the neighbourhood. 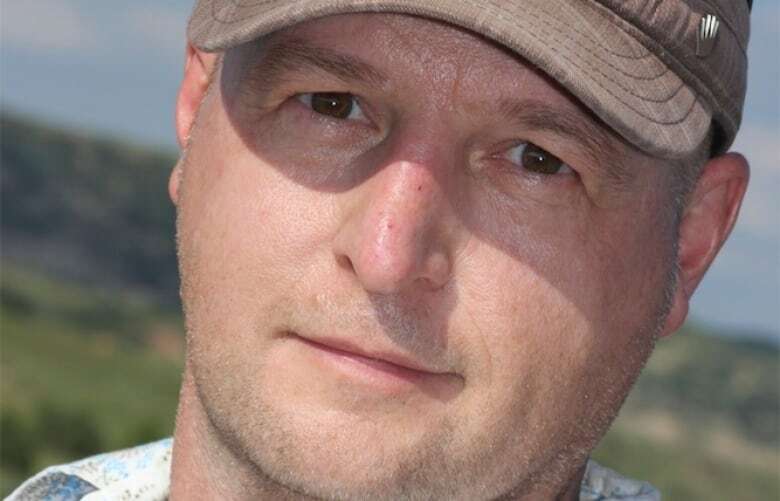 But Ingram has a few words of caution for other wildlife observers. "Stay far, far away. You never, ever want to approach a mother moose and her babies, especially a young mother," she said. "If you have a dog, that makes it even worse. Try and be very, very cautious around them, and make sure you are in a good, safe spot if you are getting pictures or videos."